Naomi and I took a drive to Pemaquid Point yesterday afternoon. It was a beautiful fall day. The sky was cloudless and the horizon sharp in the dry air. 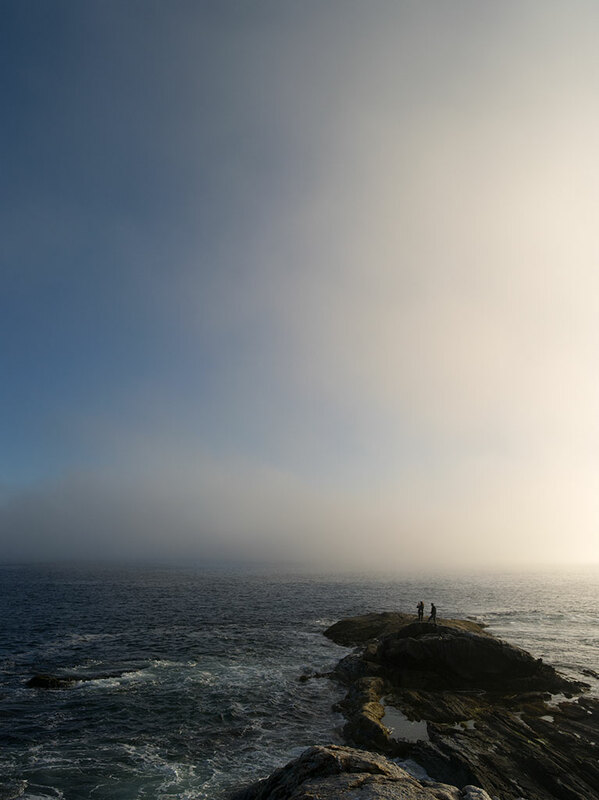 As we walked to the point, a cloud lay on the water well off the coast; fog hugging the ocean is a common sight in Maine. We were surrounded by blue ocean and sky. In a matter of minutes, the fog bank rushed over us like a tsunami. But unlike the surf, the bank rolled in like a whisper. The late afternoon sun turned the air gold. The world, which seemed so solid and large a moment ago, fell away. Click on the image for a larger view.